Florida is well-known as a vacation destination for people from around the world, but it is also increasingly a place in which people want to establish a permanent home. People know about snowbirds and retirees flocking to the state, but the rate of new residents moving to the area every day (more than 900) includes many individuals still in the prime of their working years. With so many people coming from elsewhere, one can be assured that a good number still own property in their previous home state. 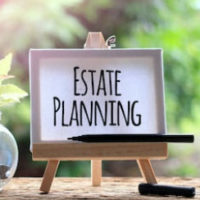 Good estate planning must factor into the legal and practical issues with managing and distributing out-of-state property within the structure of a Florida-based estate plan, and if someone recently moves to the area, any current plan should be reviewed to ensure it complies with Florida law. When property is owned in different parts of the country, this can present difficulties, if not properly handled in advance of the owner dying, and a personal representative is tasked with collecting and administering the estate. Generally, any property owned by a person at the time of death must go through probate administration before heirs can legally assume title, possession, and ownership. Each state has its own probate process, and a probate court only has jurisdiction, or authority, over assets located in the respective state. Thus, when a deceased individual was resident in and died in Florida, but owns property located in another state, Florida probate courts cannot oversee the administration of this property. The main probate administration would occur in the state in which the deceased lived and died, but the presence of out-of-state property would necessitate opening an ancillary administration in the state(s) where the other assets are located. This step is necessary because only those probate courts can approve distribution to an heir. Ancillary probate will take extra time, money, and likely the need to rely on an out-of-state local attorney to handle the legal aspects of the process. This outcome is rarely what the deceased and his/her family would want, but it is possible to avoid this type of administration entirely. Avoiding probate is the goal of many estate plans, but avoiding probate in another jurisdiction is particularly important because of the differing laws and associated costs. The most effective way to eliminate the need to open a probate case in another state is to place the property in a trust. Trust assets are not subject to probate, and if every piece of a person’s estate is contained within this structure, probate is not necessary at all. Importantly, depending upon the tax laws in the state where the property is located, the trust may need to be established in a different state and under different tax laws to avoid tax liability. Other options to avoid ancillary administration include owning the property jointly with another person, who will automatically acquire full ownership upon the death of the other party, or potentially executing a “transfer on death” deed for real estate. Some states allow these deeds, though Florida does not, and they serve to transfer ownership upon the death of the first owner. Estate planning has a lot of moving parts that are rarely encompassed in the do-it-yourself forms readily available today. An experienced estate planning attorney should be consulted to ensure you have everything you need to accomplish your goals. William Rambaum has more than three decades of experience helping Floridians protect their legacy and is available to help you. Contact the Oldsmar estate planning firm to schedule an appointment at (727) 781-5357. "Thank you for taking a few minutes to review my website. If you are looking for an attorney to assist you, let me begin by saying that I would appreciate that opportunity." © 2017 - 2019 William Rambaum, P.A. All rights reserved. This law firm website is managed by MileMark Media. Photography by Blane Arnold.